For most of the previous decade the India-China iron ore trade was the benchmark for the global spot price of the steelmaking raw material. India's was the third largest exporter behind Australia and Brazil with over 100 million tonnes shipped per year, around half its domestic production. Fast forward a couple of years and India has become an importer. India is likely to import 1 million tonnes of iron ore each month this year, as exports are curbed and domestic production remain far below previous levels. Investigations into illegal mining and corruption lead to a ban on mining in Karnataka, Orissa and number one producing state Goa. An increase in export taxes to 30% from 20% in 2011 has also throttled the industry. 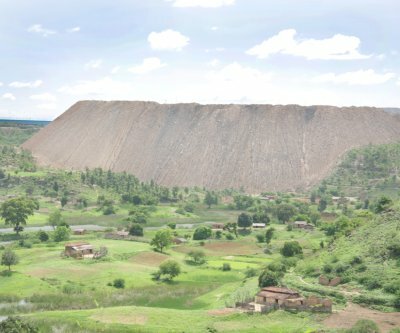 Iron Ore Team reports although India's Supreme court recently lifted the ban on dozens of the total 170 mines in Karnataka, it could take mines up to a year to comply with new rules on rehabilitation in order to resume operations. Exports remain outlawed and up to 50 mines in the state is likely to be shut down permanently. Bans on mining Goa, which accounts for about half of the country's total output, and Orissa remain in place. The Indian industry's travails have helped the price of iron ore stay at relatively lofty levels. This week the benchmark CFR import price of 62% iron ore fines at China's Tianjin climbed back above $130 a tonne. The raw material peaked in February 2011 at a price of $192 a tonne and in September last year fell to a three-year lows of $87.50.